Overnight leader Francesco Molinari was two clear with seven to play but dumped his tee shot on the 12th into Rae's Creek and also double-bogeyed the 15th, the Open champion having to settle for a tie for fifth with Tony Finau, Webb Simpson and Jason Day. And it is just two years since he told Jack Nicklaus "I'm done" during the Champions Dinner at Augusta National, after which he flew straight to London to see the consultant who recommended he undergo what proved to be career-saving spinal fusion surgery. Birdies from Johnson and Koepka made it a five-way tie before Molinari's mishap on the 15th, where Woods two-putted from long range for birdie to take the outright lead for the first time. 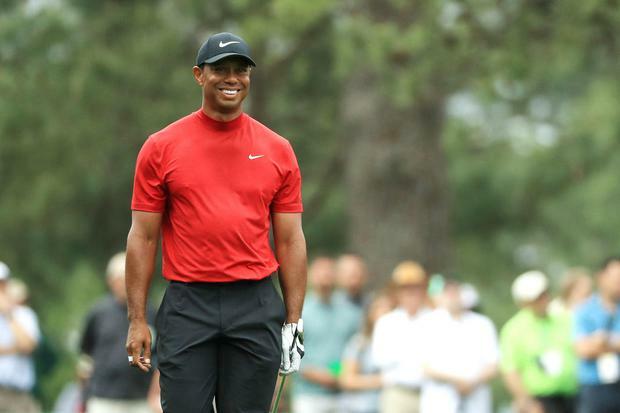 Woods was then inches away from the third hole-in-one of the day on the 16th and tapped in for birdie to double his lead, allowing him the luxury of a bogey on the last before the exuberant celebrations could begin as chants of 'Tiger, Tiger' reverberated around the 18th green. "That will be the greatest scene in golf forever," said six-time major winner Nick Faldo, commentating for CBS. "We will never see anything as exhilarating as that."